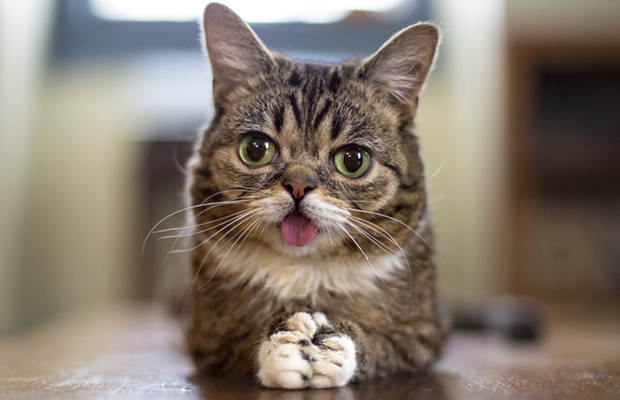 Lil Bub! - Her voice was clear and musical, but deeper than woman's wont. Or maybe you do know them, but the pictures are awfully cute anyway! "It has been established that Lil BUB landed on Earth from a distant planet, but allegedely it was indeed her ancestors that built the ancient pyramids of Egypt." "Lil BUB has a strict rule of being naked at all times. This means she will not wear silly hats, scarfs, or ridiculous outfits that belong on dolls. She will occasionally make an exception for capes, though, because capes are awesome." "Lil BUB can see the future, travel space and time, see into the deepest reaches of your soul, and move things with her mind."